Very high tech spin and methods of social interactivity. It definitely makes it an exciting project to root for. I look forward to the commercial deployment. Strong team and good project! Good team experience advisory board. Nice vision. 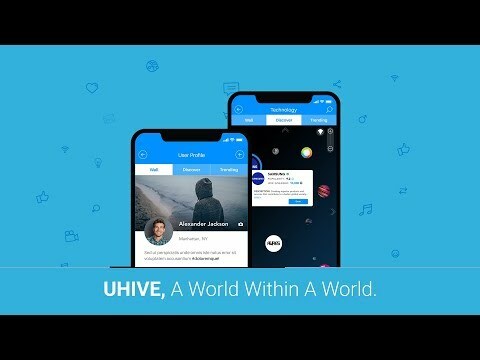 The blockchain first social networking proposition that has potential. Would like to see a live demo of this product. Good vision, I hope it will be executed well. Ticks a lot of future tech boxes, exciting! Looks like a project with potential. I like the concept, it's not going to be easy to launch something like this so even thought the current team is strong I hope they plan on getting more technical resources on board during development stage. - Really a lot of monetization opportunities to build on. success depends on community development and social adoption. Good team but could use more members with strong social media presence, like influencers to help spread the word and increase adoption. Also, wish it the team had more AI experience. Team The CEO is listed as COO. The advisors has no experience in social media or AI.